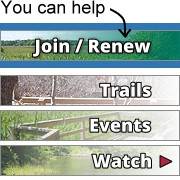 Please watch this video for an overview of the Cold Brook Ecological Restoration Project. Click here for a link to a segment featured on the Cape & Islands NPR station (WCAI 94.3 fm) about eco-restoration projects including Cold Brook. Click here for a two-page project summary in PDF. Click here for a PDF of the February 25, 2017 presentation at the Harwich Community Center. Click here for a PDF of Project Questions.